The Montreal Canadiens have already re-signed two of their trade deadline additions, inking short extensions with both Nate Thompson and Christian Folin in recent days. At least one more of their expiring contracts could stay, as Pierre LeBrun of The Athletic reports that there have been preliminary discussions between the Canadiens and the representatives for Jordan Weal. LeBrun adds that Weal has interest in staying with the Canadiens. Weal, 27, was acquired on deadline day in exchange for Michael Chaput and quickly found a fit with Montreal. He recorded 10 points in 16 games with the team and was given more responsibility and ice time than ever before in his career. The talented forward is actually approaching unrestricted free agency for the second time despite being relatively young, as he was heading for Group VI status in the summer of 2017 before inking a two-year deal with the Philadelphia Flyers in late June. That deal was predicated on a hot streak over the last few weeks of the 2016-17 season, not unlike the stretch that Weal just went through with Montreal. Even with his relatively small NHL resume—Weal has only suited up 169 times and never played more than 69 games in a single season—there seemed to be a great fit in Montreal for the third round pick. There’s a good chance he could find a full-time role next to some of the team’s other talented young forwards, giving him a chance to really show what he can do at the highest level. The Canadiens have plenty of cap space, but still need to make smart decisions with it and not fill their roster with overpriced talent. There’s little chance that Weal can command huge numbers, making him a potential low-risk, high-reward play for the team. The Los Angeles Kings’ disappointing 2018-19 season is now behind them and they are looking ahead to a fresh start next season. Part of improving the optimism around the team heading into next year would be opening up some salary cap space, as the Kings currently have one of the highest payrolls already committed to 2019-20 with the NHL off-season still to come. L.A. showed this season that their current core doesn’t have what it takes to be a contender, so moving out an expensive veteran piece to open up room to add in free agency and trades or at least give some promising young prospects an increased role is certainly in their plans. One of the easiest ways that the team could have seen a significant drop-off in salary would have been if veteran center Jeff Carter had opted to retire, as many fans and local media members have (wishfully) speculated. Carter, who has three years remaining on his contract at a $5.27MM AAV, turned 34 this season and celebrated with the worst season of his career. 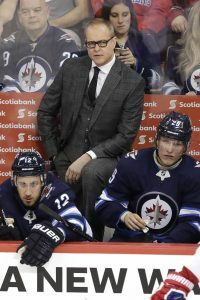 Carter – who missed considerable time due to injury in 2017-18, but was still close to a point-per-game player – managed to record only 33 points in 76 games this year, including a career-worst 13 goals and -20 rating. While the situation was not helped any by the Kings’ overall lack of production, Carter certainly showed signs of his age and was easily the worst value player on the roster. As a result, there was hope by some that he may simply retire and walk away from his remaining money. Unfortunately, the team may not be so eager to continue the relationship. The cap space alone is an issue, but Cooper also cites the team’s impressive prospect depth down the middle as a reason why Carter is viewed as expendable. Carter, who is 20 games away from 1,000 in his career, is still a valuable asset for his experience and versatility, but Cooper acknowledges that he is a major candidate to be on the move this summer, regardless. A trade is certainly possible and there would be a market for Carters’ services. However, it would not be a market that would net the Kings anything of value and could very well still cost them against the salary cap with either retained salary or another expensive contract in return. Cooper even relays word from another NHL executive that the market value for Carter is “quite low” right now. One has to wonder if trading Carter for actual value might be easier if GM Rob Blake waits until the next trade deadline and hope he re-establishes his ability in that time. Cooper doubts that a beneficial deal to move Carter can be found, at least this off-season, so could a buyout be a better option? Such a decision does not offer much cap relief; Carter would still count for more than $3MM next year and more than $4MM in the two years prior, followed by another three years at $778K. In fact, Cooper calls Carter the “least attractive candidate” to be bought out due to the structure of his remaining contract. With the lack of savings, L.A. would be better off holding on to Carter and hoping he can rebound. For now, there doesn’t seem to be an easy way to get Carter’s contract off the books. Perhaps Kings fans can be content in knowing that Carter is still determined to play and help the team in their rebuild. They may have no choice other than hoping the 700+-point player can return to form, as no alternative solutions seem to be on the horizon. Carter has three years left on his contract and plans to see it through – expect those three seasons to be with L.A. until the status quo changes for the veteran forward. The Ottawa Senators traded away almost all of their important free agents this season, sending Erik Karlsson, Matt Duchene, Ryan Dzingel and Mark Stone out of town before having to deal with an offseason negotiation. Now the focus will turn from UFA to RFA, as several key players need new contracts before the 2019-20 season gets underway. One of those names, Cody Ceci, is something of an enigma as the offseason begins. The 25-year old defenseman was awarded a $4.3MM contract in arbitration last summer, making him one of the most expensive players on the Senators rosters. In fact, Ceci’s salary is almost equal to the total of the other five defensemen—Mark Borowiecki, Dylan DeMelo, Thomas Chabot, Christian Jaros and Ben Harpur—that finished the year on the active roster. Another round in arbitration would likely give Ceci another raise, though it’s unclear where exactly that number would land. 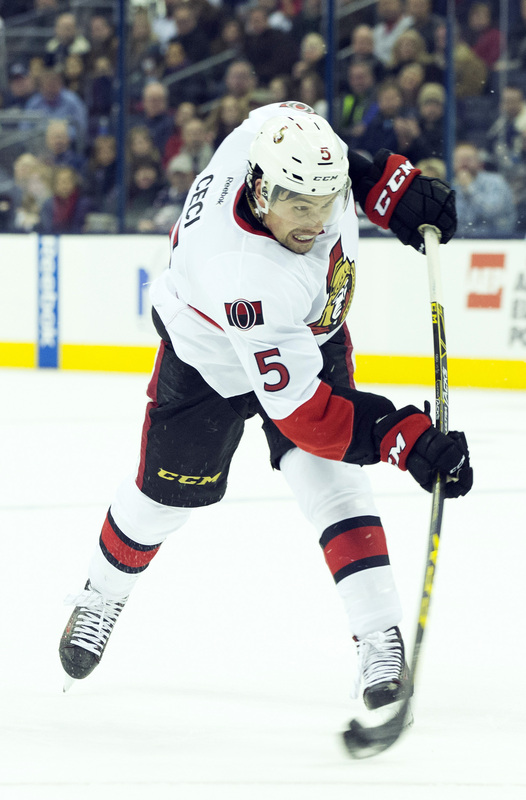 It appears as though the defenseman wants to avoid that situation entirely, as he told reporters today including Bruce Garrioch of Postmedia that he has discussed a long-term deal with the Senators front office and wants to get something done before long. That could help them keep the cap hit down, and potentially secure a core player before unrestricted free agency hangs over their heads for another year. Though Ceci will only be 26 next summer, he will have already played seven seasons in the NHL and would qualify for UFA status. The question is, whether Ceci should even be considered a core piece at all. Analytically-minded talent evaluators have pointed out for years that Ceci is deployed much more heavily than he should be, something that didn’t change even after Guy Boucher was relieved of his coaching duties partway through the season. In fact, Ceci logged more than 26 minutes in the final game of the season, and finished the year with an average of 22:34 per night. That huge amount of ice time resulted in him tying his career-high of 26 points, but also brought with it a -22 rating and a 44.1% CF%. Still, there seems to be an appetite for Ceci in Ottawa and belief in him as a top-four defenseman. Perhaps with a better supporting cast and new coaching staff the team can coax the best out of him, especially given the extremely tough matchups that may have colored his statistics for the last few years. If a long-term deal can’t be achieved, the arbitration will only be able to award Ceci a one-year deal which would instantly make him a trade candidate on the rebuilding club.